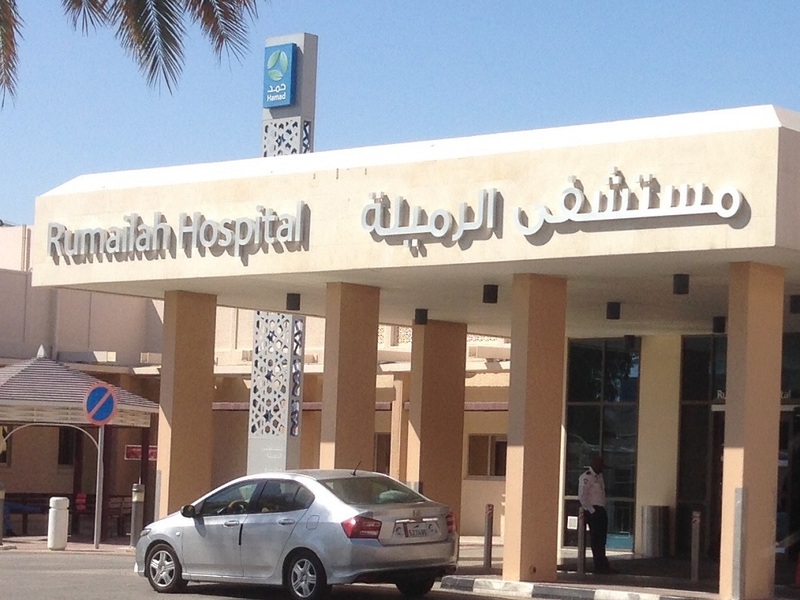 Expecting families in Qatar will soon have access to screen their babies for lysosomal storage disorders (LSDs) including Pompe disease, MPS I, Fabry and Gaucher. 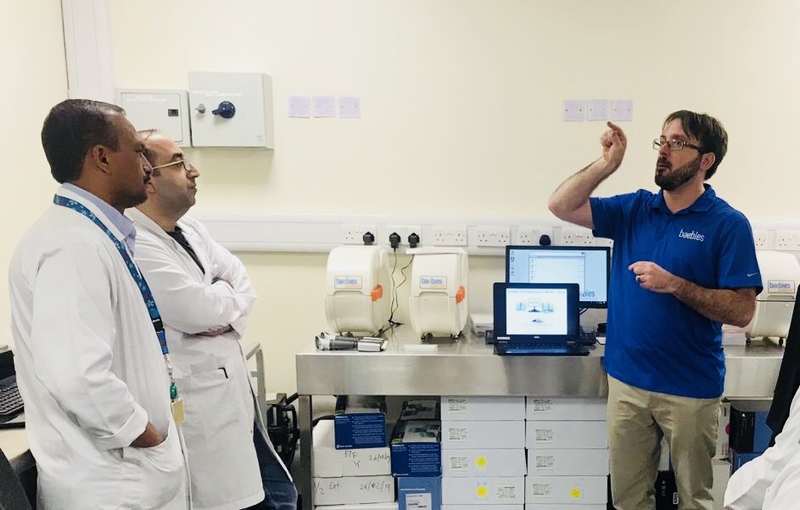 Qatar’s newborn screening lab is getting up and running with Baebies SEEKER, the first FDA-cleared and CE-marked newborn screening platform for LSDs. 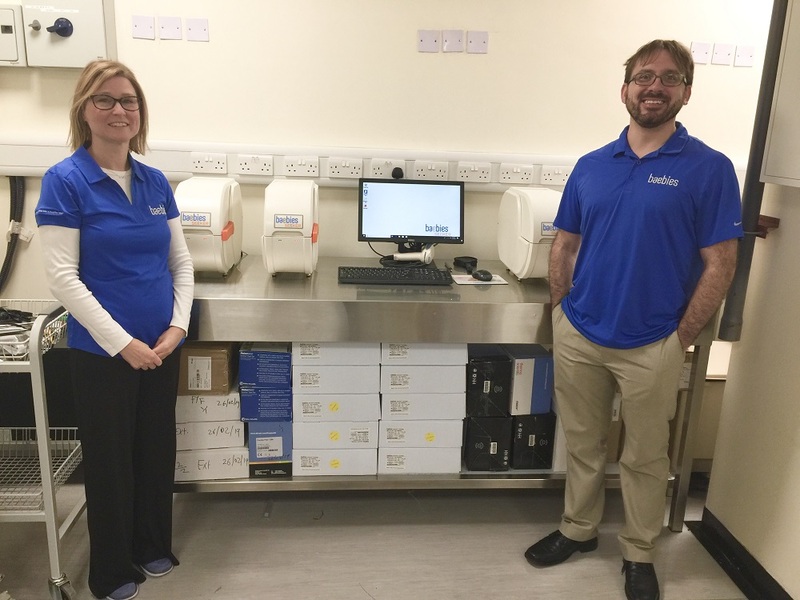 Earlier this month Candice Brannen and Jon Washburn, Staff Engineer – Lab Products, traveled to Doha, Qatar to install a full SEEKER workstation and train the laboratory staff. The workstation includes 4 SEEKER instruments and a desktop PC which fits on a standard lab bench. Installation and training was completed in 3 days. With help from our customer support team, the lab is currently conducting verification with plans to start live screening this summer. This week we are hosting technicians from Qatar’s newborn screening lab at the Baebies office in Durham, NC. We look forward to introducing them to more of our mission-driven team during their visit. When it comes to the expansion of newborn screening worldwide, SEEKER is the only practical newborn screening solution for many countries because of its flexibility, easy installation, zero maintenance requirements, and simple workflow. Whether a lab is testing 40 babies a day on one instrument or over 400 babies a day with three runs on a four-instrument workstation, SEEKER fits on a standard lab bench, so no facility modifications are required. We are agile and poised to get more newborn screening labs up and running for LSD screening. We believe every baby deserves a happy start, regardless of their socio-economic status or geography. Please contact us with any questions or inquiries regarding SEEKER. And check us out on the road! Baebies team members are heading to the APHL Newborn Screening and Genetic Testing Symposium next week in Chicago. We look forward to meeting with newborn screening labs to discuss future partnerships and the expansion of Baebies offerings.